Up to 60% of Dana Point voters may be prohibited from voting in Dana Point elections for city council. The Dana Point city council election process is being challenged by a law firm in La Jolla, California. The current city manager and city attorney have responded to this challenge by conceding that Dana Point should immediately, on the cusp of upcoming elections in November, change to “by-district” elections (rather than the “at-large” election process that has been in place for nearly 20 years). Currently, all five Dana Point city council members are elected by all voters in Dana Point, referred to as “at-large” elections, which means all voters in Dana Point are allowed to vote for all available positions on the city council (depending on term limits). If the demand letter by RDM Legal Group from La Jolla stands unchallenged, Dana Point will be carved up immediately into several new districts. Each district will be allowed to vote on only ONE city council position. If that position is currently not up for election, all voters residing in those districts will be denied the ability to vote for any city council member in Dana Point elections. Since staggered term limits for city council members in Dana Point run for four years, every two years city council positions are open for election. In 2018, three positions are up for election. This means that if the proposed change to district elections is approved by the Dana Point city council (which seems a foregone conclusion as of this writing), in 2018 only three of five likely districts will be up for election, which leaves 40% of voters out of the voting process in 2018. The next election in 2020 will involve two of five positions, which would leave 60% of voters out of the process. On average, over four-year election cycles, if this change is enacted, it means 50% of Dana Point voters will be denied the ability to vote on city council positions over all elections. Current city attorney, Patrick Muñoz and city manager, Mark Denny, (and a demographics consulting firm hired by them), have all asserted publicly that Dana Point should comply fully and immediately with the demands in the letter (see pages 6-8) from RDM Legal Group in La Jolla. During a public forum conducted on March 19, 2018 by the group Capo Cares, city councilmember Debra Lewis (the only fully open, public discussion to date on this topic), a near unanimous percentage of the roughly 50 Dana Point voters attending that meeting indicated that they would rather the city staff pursue an alternative settlement with RDM Legal Group — something other than immediately restructuring the Dana Point elections process. DanaPointer.com has asked Russel Myrick of RDM Legal Group to respond to several questions, but as of yet we’ve received no reply. As a result of what residents are calling an undue rush to change, we are left with more questions than answers. How many other cities has the La Jolla law firm sued? What prompted the La Jolla lawyer to take this action in Orange County? Can RDM Legal Group provide documentation that they were asked by Dana Point voters from a protected class to initiate this effort? Does anyone on city staff or connected with the city attorney (or his firm) have any connection or interaction with the La Jolla law firm? Prior to DP receiving the letter from RDM Legal Group, did any city council member ever have any conversations with anyone about the possibility of this effort to force Dana Point to district elections? 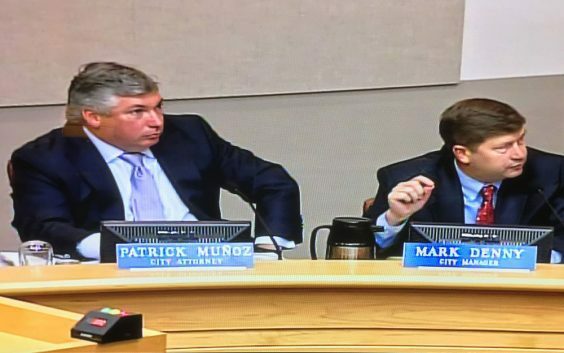 Why did city council have to ask/force city attorney to contact the La Jolla law firm to open a discussion about alternatives — shouldn’t he have done that as standard operating procedure? Why hasn’t city manager scheduled a robust plan for public outreach, town halls and workshops, like we did for many big city issues in the past? Have political operatives asked the La Jolla law firm to initiate this effort in an attempt to control the Dana Point election, to restrict voter turnout, or to limit candidates in Dana Point? Will voting locations be changed before the next election for anyone in Dana Point and, if so, how will voters know where to go on election day? Why is the city staff rushing to pass a districting ordinance before the 2018 Dana Point elections? How will districting help our minority populations? If one of the incumbents chooses not to run, will his/her district still be up for election?